What makes RoboForm stand out among password managers is its differentiation of products for personal and business use. Unlike some competitors, who merely add a few features to the personal plan and call it a business plan, RoboForm offers enough differentiating functionality to provide two entirely different solutions. This makes it easy to get what you need without paying for what you don’t. Sign up with RoboForm Password Management today! Setup is really not a problem and should not take longer than 10 minutes. First, you get things started by creating your RoboForm online. When you click on the plan you wish to subscribe to, you will be taken to a download page where you will be presented with the appropriate installer for the platform you’re using, whether Chrome, Firefox, Internet Explorer, or Opera. As soon as your installation is over and done with you will be met with some video tutorials that will introduce RoboForm and what it does. RoboForm has been around for a while and so when it comes to the user interface, people were beginning to notice that it was looking a little bit dated. After six years of no updates, RoboForm has recently had a slight makeover, with the overall look changing, but the overall organization of the manager not changing too much. On the left-hand side of the application, you will find a menu which includes eight categories including logins, bookmarks, applications, identities, contacts, safe notes all and shared. There are other menus that are available on the screen for you that branch out which might be a little confusing to some users. When it comes to the user interface, there are a lot of ways to customize your RoboForm experience including a browser toolbar, hotkeys as well as having a context menu for Internet Explorer. You will also have the option of uploading your own language file for the interface. Many tech-savvy individuals will greatly appreciate all these custom features, however, RoboForm really ignores the fact that people just do not like getting their hands dirty and crave a minimalist approach. Additionally, beginners may feel overwhelmed and intimidated by some of the options offered. Your passwords will remain secure, you can be sure of this as RoboForm encrypts all your data using AES-256 bit encryption as well as PBKDF2 SHA256. The AES-256 bit encryption is military-grade and works in that it uses 256-bit key to encrypt your data and files. This is one of the most secure options when it comes to keeping your sensitive information under wraps. RoboForm also uses two-factor authentication to secure your privacy. What does this mean? Simply put, your authentication will require more than just a password. This could mean that you have a security device or a smartphone, even a voiceprint or fingerprint. When it comes to RoboForm, two-factor authentications are a little limited, but you can always use the One-Time Password (OTP) feature. This will get you notified whenever you log in from a device that has never been seen before. It will send the OTP to an email or smartphone number you have entered, and without that code entered, it will not grant you access for that device. Security center is one of the best features that come with this password manager. Once all of your passwords have been stored, RoboForm lists them within its security center and judges them accordingly, identifying which of them are weak and need tweaking. RoboForm uses the open-source zxcvbn algorithm for passwords which takes into account dictionary words, names and popular passwords so when it tells you your password is strong, you know it’s strong. RoboForm is a zero-knowledge password manager which means that all of the encryption that occurs, does so locally, so that RoboForm will never see what it is you are storing. You have one master password that gets you into RoboForm and they don’t have access to that either, so if you happen to forget that one password that gets you into your RoboForm account, they can’t really help you out there. “Pursuant to the Privacy Shield Frameworks, EU and Swiss individuals have the right to obtain our confirmation of whether we maintain personal information relating to you in the United States. Upon request, we will provide you with access to the personal information that we hold about you. You may also correct, amend, or delete the personal information we hold about you. If requested to remove data, we will respond within a reasonable timeframe. We will provide an individual opt-out choice, or opt-in for sensitive data, before we share your data with third parties other than our agents, or before we use it for a purpose other than which it was originally collected or subsequently authorized. RoboForm has all the features anyone looks for in a password manager. Other than storing your passwords, RoboForm will also take care of your credit cards, contacts, bookmarks, notes, and other applications. RoboForm not only keeps your passwords safe, but will also help you save time, filling out tedious forms automatically and quickly, including information such as your name, address, postal code, phone number, email and credit card number. You will find these forms when you are shopping online, applying for credit cards, entering contests or even filling out a resume online. Before you used a password manager, you would have thought of passwords that you can easily remember off the top of your head. The problem with this is that it is exactly these types of passwords that you can easily associate with, that can be easily hacked by internet snoops. Using the same password on multiple accounts is even worse. This is why a password generator is a lifesaver. RoboForm will offer this great tool and create a unique password for all your different accounts using different characters including uppercase and lowercase letters, symbols and numbers to keep your password strong and your devices out of reach of hackers. Secure sharing is a cool feature that also saves a lot of time. Often your family will need to use the same password for shared applications, and this feature allows the whole family access to certain logins. You have a myriad of options when it comes to pricing. 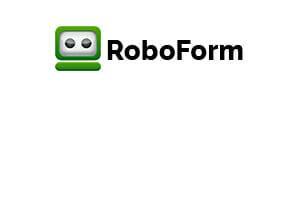 RoboForm has a free option is for a single user or just the one device. Even though you can download RoboForm on another device, you will not be able to log in to your account on that device or access any of your data. It is understandable that this might pose a problem for you, but still, the free version will allow you to see whether or not RoboForm is the password manager for you. As with many subscription plans, the cheapest route to take is by subscribing to the five-year plan which will set you back $19.95. Next, you have the family plan, which is pretty much the Everywhere subscription, but for five users. It also has pretty much the same features except for some extra management elements that are included. On the pricier scale, you have the Business plan which starts at $3.35, but it has a lot more on offer than any of the other plans, including separate employee accounts. When comparing RoboForm to other password managers, it sits somewhere in the middle in terms of pricing, but one of the biggest benefits is the free option which allows you to see whether RoboForm is the right fit for your individual needs. When it comes to support, RoboForm has had quite a few critics in the past. You have the option of using the help center as well as checking out the starter’s manual which is incredibly helpful answering frequent questions that probably pop up. There is email support available which, during weekdays, will get you a response usually within an hour. This is probably the fastest response time of an email inquiry when it comes to password managers, Additionally, you can always use the live chat option on their website. This is available during weekdays from 9 AM to 6 PM, but it does require a separate subscription. One support feature that really sets RoboForm apart from the pack is that they also offer callbacks, which you can request if you have any support issues. If you’re in a hurry, though, the best plan of action is to check out the RoboForm help center. There, you will find a comprehensive list of articles which contain step-by-step instructions as well as screenshots walking you through how to use the software. One of the great things about the user manual found on their website is that it will come with separate, detailed descriptions depending on the device you’re using (Windows, Mac, iOS or Android).